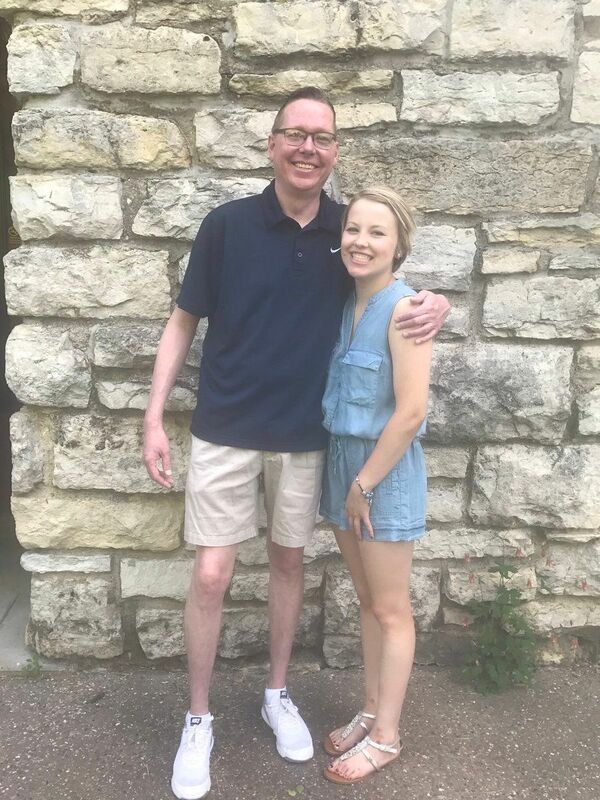 A tweet from Morgan Lee, 18 from the Quad Cities, recently went viral after she thanked the University of Iowa Hospitals for saving her father's life on the five year anniversary of pronouncing him cancer-free. I recently spoke with Morgan about the experience she had with her father's cancer and how much it had affect her. It's a story that will warm your heart. Five years ago, on November 29, Morgan Lee's life could have changed forever. At the University of Iowa Hospitals in Iowa City, her father was undergoing a procedure to remove a tumor from his brain. Morgan was only 13 years old when her father, Mark Lee, went to visit the doctor. This appointment wasn't for a regular checkup; Mark's boss had noticed that Mark wasn't acting like his normal self and having diffculty at work, and recommended that he go for a checkup. During the appointment, an MRI was taken. The results indicated that Mark had a tumor in the temporal lobe of his brain. A surgical procedure was scheduled for November 29, 2012 at the University of Iowa Hospitals to remove the tumor. After the removal, further testing would determine if the tumor was cancerous, and if Mark would need further treatment. Morgan is the only child of divorced parents. She recalls that potentially loosing her father, especially at a young age, was very hard for her. 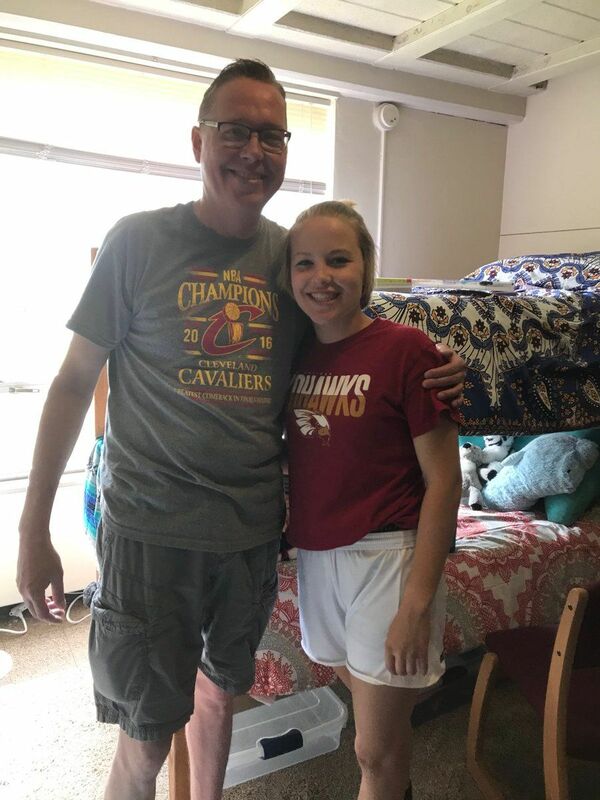 Despite her parents' divorce, Morgan admitted that her father's illness was even hard on her mother, as her parents were still close after knowing each other for seventeen years. "Seeing someone you know so well going through something like this can bring up a whirlwind of emotions," Morgan said. "On the day of my dad's surgery, I actually had a basketball game," Morgan recalled. "My coach at the time had everyone at the game pray for him, and that really hit home for me. It meant so much that other people were thinking of my dad as well." After the game ended, Morgan received a text message from her mother telling her she needed to call her right away. Morgan remembers immediately knowing something wasn't right. Morgan's mother informed her that Mark's heart had stopped beating while on the operating table and had gone into a coma post surgery. He would have to spend a number of days in the ICU. "On the Friday morning after the surgery, my mom and I went up to see my dad," Morgan said. "He was still in a coma at the time, so I didn't really say much because I was so young and scared seeing my dad hooked up to all of these machines." On the Saturday following her visit, Morgan's father woke up. Morgan told me that mark admitted that while his heart stopped on the operating table, he saw his grandmother. She told him that "they weren't ready for him" and that he needed to go back home and wake up. A few weeks after the surgery, Mark went back to the University of Iowa Hospitals for more testing to determine if the tumor removed from his brain was cancerous. Mark was diagnosed with stage 4 brain cancer. "So, not only did we go through this whole surgery, my dad was then given six months to live," Morgan said. Chemotherapy for the cancer started immediately, and Morgan recalled watching her dad sink into constant fatigue from the treatment. The treatment was so hard on Mark, Morgan said there were times he began to make preparations for his own funeral. But after finishing chemotherapy, Mark finally started to feel better. Doctors at the University of Iowa confirmed that Mark Lee was cancer-free. Today, it's been just over five years since Morgan's father beat brain cancer. She says he's back to telling jokes and is feeling better than ever. "I couldn't thank the University of Iowa enough for thinking of a game plan right away and sticking to it," Morgan said. My dad and I have always been super close and without him, I have no idea what kind of a person I'd be today."